The Gunpowder River is flowing at 123 CFs, is slightly off color and 42.5 F. If you have a rain jacket you can rely on it might be time to make a splash play of your own to ring in the New Year. 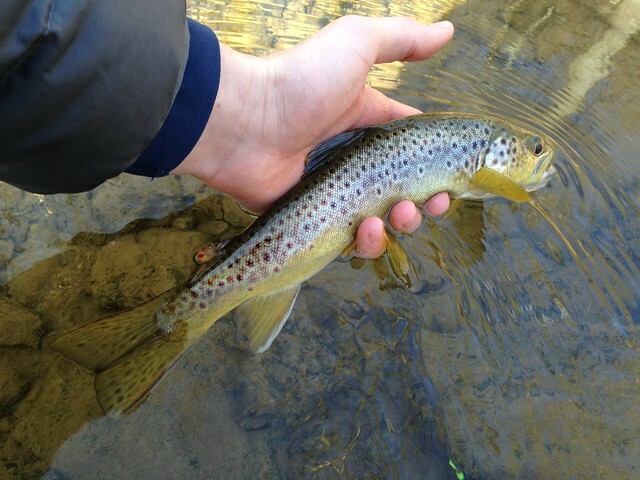 When the River levels move up opportunistic browns can often be tricked with a sink-tip/streamer combination. 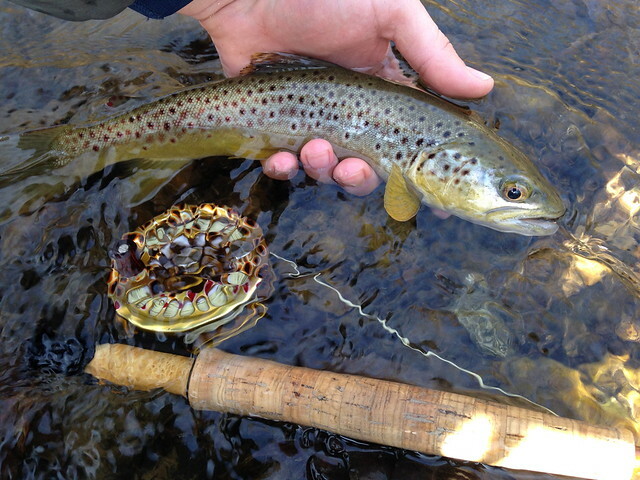 An 11″ Brookie was caught just outside of the catch and release area last week on a cone head, squirrel-tail something. Small nymphs like Zebras and black flies behind fished behind larger, heavier stoneflies are also worth a shot. We fielded more comments and questions about the rainbows in the upper section last year than in any other previous year. If you’ve seen, heard or wondered about these fish drop us a line and we’ll put together a quick summary of comments for the fisheries folks to review. With a clipper coming through as early as Monday night today might be a great opportunity to get out and fly fish the Gunpowder before we experience some real winter weather. This entry was posted in fishing report on January 4, 2015 by Theaux Le Gardeur.